Relationship Anniversaries: Your Questions Answered | PrimeYours! Every relationship, no matter how ideal, has its trying moments – and for many couples, that moment can be the realization that an anniversary is just around the corner. Whether it’s been one month or one year of romantic bliss, planning for an anniversary celebration can often be so stressful, that the true meaning of the occasion gets lost. With any anniversary comes a few immediate questions, many of them related to the subject of gift-giving. How much is too much? When is it too soon to mark an anniversary? What gift will wow her, and what will send her running to the nearest exit? Rather than let you puzzle through the big questions on your on, we’ve enlisted the help of five women to answer them for you. 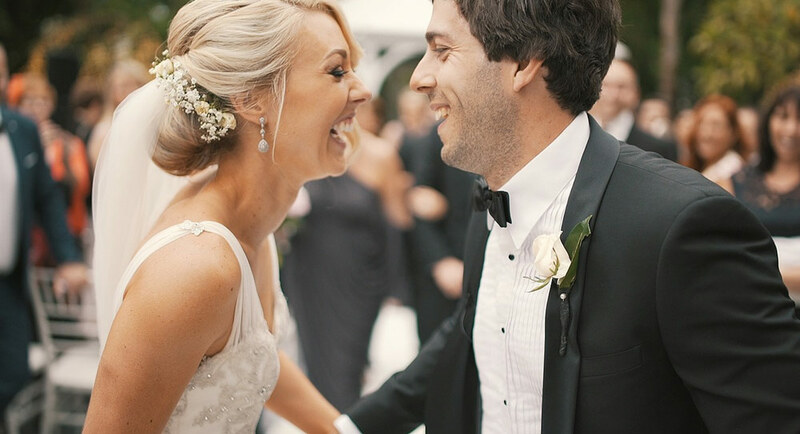 Read on to hear about their favourite anniversary memories, their ideal gifts, and when they think it’s a good idea to pop the cork on the champagne bottle. When is too soon to celebrate? While some women may think it’s important to mark every milestone in a relationship, whether it’s one week or one month, the importance of minor anniversaries seems to lessen with age. Of all the women we talked to, none placed much importance on one-month celebrations. Sara, 21, is in agreement. “I think a six month anniversary is important to commemorate if the couple thinks it is relevant, but anything else is too soon,” she says. What’s the best way to mark the occasion? While an anniversary might warrant a special gift, it doesn’t have to. For some couples, a romantic or exciting evening together can be a gift in itself. If you and your partner do choose to celebrate the occasion with a special activity, don’t draw the line at dinner by candlelight. While this tried and true celebration is often a winner, it’s not your only option. The best gift doesn’t necessarily have to be something for your girlfriend to use on her own – sometimes a gift that can be shared by both of you is twice as special. It’s important to remember that the best present doesn’t have to be an expensive piece of jewelry. Showing her you’ve put a lot of thought into her gift can be far more important than what’s on the price tag. “Coupons for massages, time to myself (with no questions), those are the things that show my partner is thinking of what I will appreciate rather than thinking of what is he “supposed” to get for me,” says Rebecca, 30. “Our entire relationship relies on Simpsons quotes,” she laughs. Sara cautions that spending too much too soon can be intimidating, especially if you do choose to celebrate an anniversary before you’ve hit the one-year marker. “Flowers or chocolate are sweet, but a more substantial gift when one has just began to date someone else is too much,” she says. While it’s tough to say what specifically makes a bad anniversary gift, most of the women we spoke to said the worst gifts were usually those that seemed last-minute or impersonal. “I’m not very materialistic, and gifts given out of obligation don’t mean much to me,” says Erin. On a more serious note, Rebecca says one popular gift, lingerie, has its ups and downs. “ Avoid lingerie unless you are positive about sizes and what will be okay,” she says. Rebecca also says it’s also important to check with your girlfriend to see whether lingerie is something she’d enjoy, rather than something you think you’d enjoy. “Feel her out first, because that can be insulting, since it can seem that the “gift” is really trying to get something for yourself,” she says. There are also a few other gifts you might want to steer clear of, unless you’re truly dedicated, jokes Laura. Gift-buying pitfalls aside, don’t get too caught up in buying the perfect anniversary present. When the going gets tough, try to remember the reason you’re celebrating – your relationship. The most important thing isn’t finding the nicest bouquet of roses – it’s demonstrating to your partner that being with her is important to you. Next Next post: Open Relationships: Are They Right for You? Abstinence Makes The Heart Grow Fonder? Drugs & Alcohol: Will They End Your Relationship? Bisexual Love: Is Three A Crowd?